Online gambling is fun, but finding an online casino can be tricky. There are so many options (thousands, in fact) that it’s hard to keep track of what’s available. More importantly, which casinos are trustworthy. You don’t want to win a big pot and then realize the system was faulty and you lost it or that there are/were poker bots at the table. Finding a legitimate gambling platform that fits you is among the practices that set online gambling apart from traditional gambling. Some players are better informed than others, a fact that establishes somewhat of a hierarchy in the online gambling community. Oftentimes, this knowledge can only be gained with experience and might include proficiency in a particular language or having a level of insight into who plays online poker when and from which locations (experienced players know that there are marked differences in skill levels between, for example, American and European players, although this is still up for debate). Politics aside, the most important thing is to find a trusted casino that will guarantee both fairness and that your money and your pot are safe. Make sure that winnings are paid out and that outcomes are random. Here are four ways to set your mind at ease when choosing an online casino. Different countries have different regulations in terms of online gambling. As the infamous Black Tuesday and Black Friday proved, sometimes lawmakers and gambling operators don’t see eye to eye and players end up on the losing end. There are some good online directories such as GamingZion.com that provide lists of casinos available by region and language. Some casinos like PokerStars have region and country-specific sites that align to regulatory frameworks. As the regulations on online gambling open up in more territories worldwide, detailed lists for each territory will start to emerge. Positive commentaries can increase the number of players in a digital poker site; negative commentaries will repel potential converts and draw negative attention to the casino as a potential site that exposes users to deviant practices and scams. Websites like Casino Scam Report keep track of malpractices in the industry via crowdsourcing to prevent gamblers from “being scammed by online casinos that don’t pay out winnings to their players.” Websites like this establish new dynamics of accountability for casinos that help users define how trustworthy each casino is. This page allows users to file a report and also keeps its own blacklist. Other pages, like Wizard of Odds, also publish their own blacklists. You can also go to a casino’s Facebook, YouTube and Twitter pages to read user comments. For your own awareness, watch the YouTube videos explaining how poker bots operate. As online gambling is quite complex in terms of regulation and overseeing of industry standards, certifications are quite important in establishing the reputation of a gambling operator. Most reputable online casinos have a list of certifications at the bottom of their homepage. The certifications, which we have previously discussed, guarantee that your privacy and data are safe and that games are staged on fair and even terms. These certifications include Gaming Associates and companies like PWC. One attribute of legitimate online casinos is having a section of its website dedicated to responsible gambling. This proves that the operator plays by the rules and the platform does not take advantage of players. But rather provides a fun gaming environment. 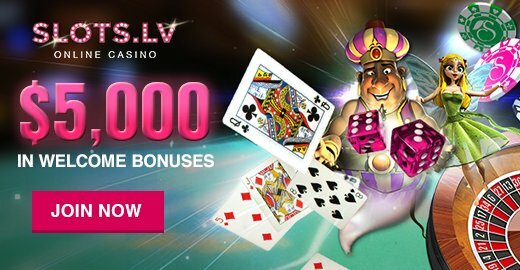 Established online casinos tick all of the boxes in terms of reputation and offering information. As well as mechanisms to ensure players practice responsible gaming.